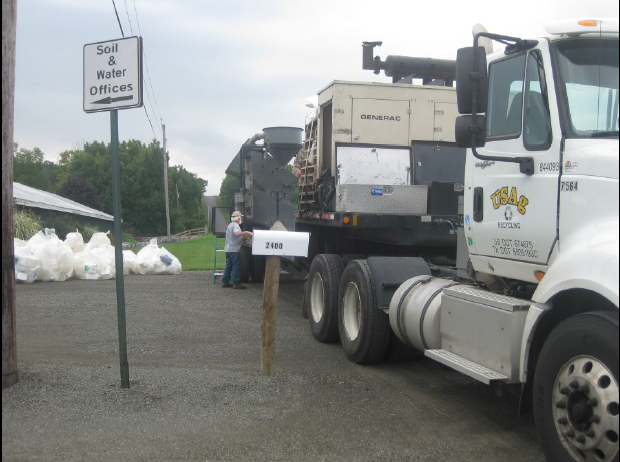 The Schuyler County SWCD with Chemung County SWCD has had 4 agricultural container recycling days and has collected over 4,000 containers. With the help of the US Ag Recycling Inc. and the Ag Container Recycling Council this free service to farmers provides an environmentally friendly alternative to throwing away agricultural containers. Only HDPE #2 plastic containers are accepted, ranging from less than 1 gallon to 55 gallon barrels. Containers must be clean and without tops. For more information about this program please call the District at 535-0878.